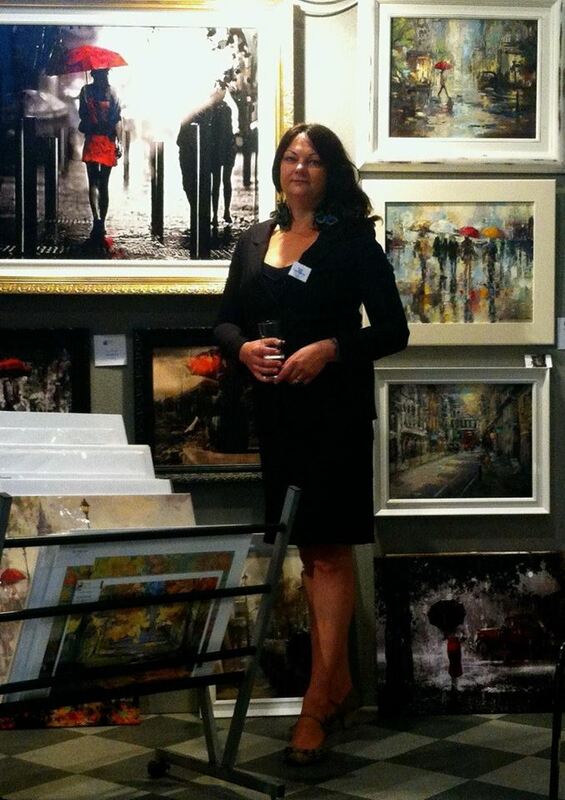 My paintings have been the subject of numerous solo and group exhibitions including Annual Exhibition Society of Women Artist,Mall Gallery London, Saatchi Gallery Finalist. I am one of the top best selling artist on Artfinder and have sold widely on other online Galleries. I have received numerous awards over the years, attaining international recognition and my paintings have been published in May Fine Art Prints and Artist&Illustrators Magazine. I’m a professional artist since coming to London ( from Poland) in 2002 consider myself as self-taught. My style is something between abstract and Impressionism. I’ve always been been drawn to strong, rich colours. It sounds silly, but I like it when the painting screams. I’ve always heard paintings as sounds and seen sounds and paintings. And listening to emotional music is often the starting point for many of my pieces.Depth is a characteristic of much of my work. I tend to paint in layers, and the build up of these layers helps give the impression of depth. As well as using thick oils and palette knifes adding to the rich texture.